Description: Printed insulated hook-up wire used in Aircraft Electrical Systems. Insulation: PVC with Polyamide (Nylon) Jacket. Ordering Information: Specify Jaguar Catalog # supplied below. Consult factory for other colors. NO. AWG SIZE STRAND MIN. MAX. Insulation: PVC with Dual Jackets. AWG 22-10, Fiberglass Braid + Extruded Nylon®; AWG 8-4/0, Fiberglass Braid + Nylon® Braid. Much like in a variety of land vehicles, wires are essential to the proper functioning of any aircraft. 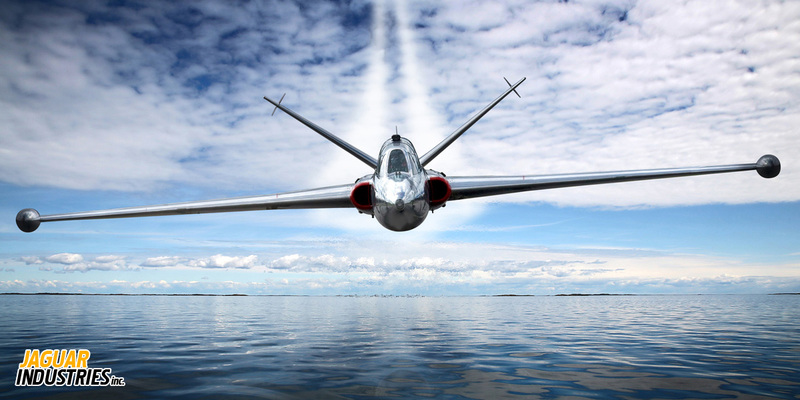 At Jaguar Industries, we supply those in the aerospace industry with a variety of aircraft wire for various purposes. Whether it’s to maintain an airplane or put one together, we can provide whatever airplane wire is needed thanks to our custom manufacturing capabilities. In aviation, wires are exposed to a variety of extreme conditions. Environmental factors such as extremes of heat and cold on the ground and in the air contribute to a wire’s deterioration over time. Aside from that, these wires may come in contact with a variety of fluids and other substances ranging from the salt in marine environments to the aircraft’s own fuel. It is also important for wires employed in aircraft to be resistant to water damage. To meet these heavy demands, special specifications have been made for wire products employed in the aerospace industry. These specific mil-spec wire products have all been made to provide those who work with airplanes with better resistance to all kinds of environmental factors. Our company offers general purpose wire for repairs and can custom manufacture particular wires for specific needs. While the selections we feature on our website are used mainly in aviation electrical systems, our aircraft wire is also a good option for manufacturers looking for a product that can withstand demanding environments. MIL-W-5086A, for example, features PVC insulation with a Polyamide jacket. The addition of the jacket reinforces PVC’s chemical resistance with Polyamide’s strength against physical damage such as chafing, abrasion, and heat. Here at Jaguar Industries, we can complement your order for aircraft wires with value-added services. We can customize the look of the wires you order through striping, dyeing, and marking. For your convenience, we provide cutting and stripping to prepare your order for use. Terminating and crimping services are also available for customers who do not have the equipment for these processes. If you need your airplane wires made into cables, we can also do that. Our high speed twisting and planetary cabling equipment can produce multiple conductor cables from our single conductor items. To ensure that your order fully complies with your specifications, we run every order of aviation wire through laboratory physical and electrical tests.